Doris Di is a member of the Class of 2019. While I am currently a 3L J.D. 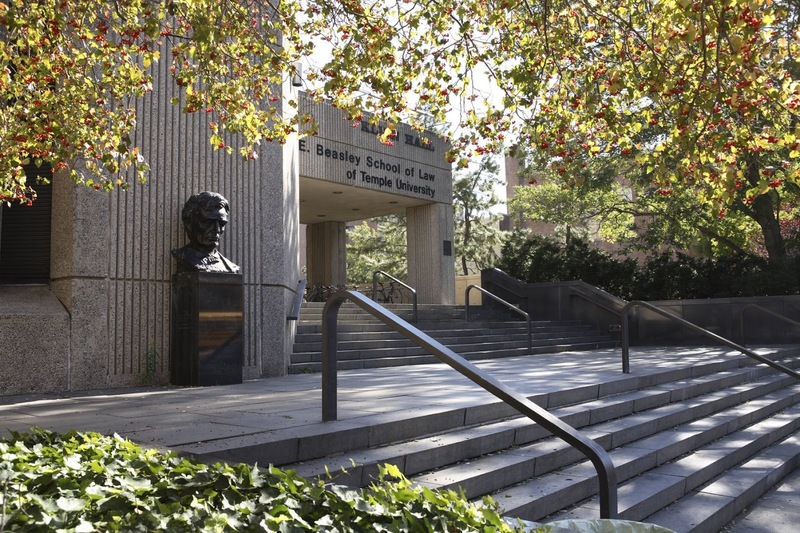 student, I began my career at Temple Law school as an exchange student to the International LL.M. program in the fall of 2013. I was born and raised in the small town of Liyang, China. I had dreamt of exploring the world outside my town since my childhood. I still remember how thrilled I was when the flight landed in Philadelphia that August because it was the first time I would step out of the door into my country. My exchange semester at Temple Law will be a lifelong memory. I have been so grateful that the Graduate and International Programs Office took such good care of us international students—from raising awareness of safety, recommending the best restaurants and fun events in the city, to guiding us in how to survive in law school. The first glimpse of an American law school was colorful. I made friends with law students from around the world—Japan, South Korea, Sudan, Germany, Russia, Netherlands, and more. We joked that every class we had was just like a conference in the United Nations. Students from diverse backgrounds brought their unique insights into each class. I enjoyed how different thoughts and ideas collided in our classes and how professors pushed and guided us. It was such a different class environment from that of my Chinese law school, where most of my classes were lecture-based. Temple Law is such a friendly, supportive and international community. After graduating from law school in China, I decided to pursue my J.D. at Temple Law School to have a more systematic understanding of U.S. legal system and a better experience of American culture. I have been so grateful and excited about every day I spend at Temple Law. As an international student studying at an American law school, I understand the hard transition that international students face—language barriers, cultural differences, and new social systems pose various challenges to a fresh foreign student. I have received so much support from students and the law school faculty in our community, inspiring me to give back to others like me. Equipped with better language skills, as well as better understanding of cultural and social differences, I have been devoted to helping all international students studying at Temple Law. For the past two summers, I was a student counsellor, working with Professors Robin Nilon, Sara Jacobson and Jules Epstein in the Temple-Tsinghua LL.M. program. I helped organize activities in the program and supported students. Having gained valuable insights into American society, culture, and ethics, I was able to help students bridge the gap between cultures and languages. For the past two years, I have also staffed the writing center and worked as a teaching assistant for the International LL.M. Legal Research and Writing Course. As a Lead Research Editor for the Temple International and Comparative Law Journal, I am able to use my legal research and writing skills to help international students. From Liyang, China to Philadelphia, PA, my life has been an exciting journey. I have grown each day at Temple Law and hope to continue returning the help I have received to other international students at the start of their own journeys.